Shopping Actions is a major push by Google into becoming a marketplace. 1. 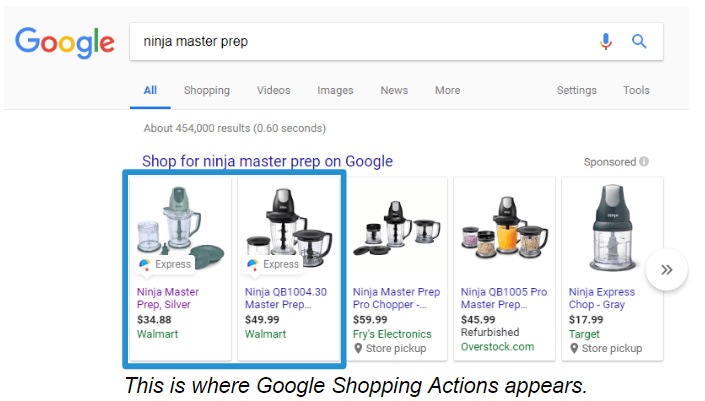 Pay Per Sale Model drives traffic to Google Express, and it is not Pay Per Click. 2. Sale Happens on Google, and it uses your Google Wallet saved credit card.